The British Israel Group, (BIG) started in 2001 and was one of the very first advocacy groups in Israel. It was the brainchild of international lawyer and ex-Londoner Avi Lehrer. 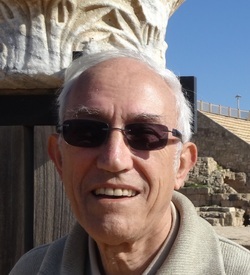 He was inspired to harness the knowledge of English-speaking ex Brits living in Israel and give them further training in public diplomacy in the cause of enhancing Israel's image. Our mailings circulate all over the world and our blog is viewed by subscribers in more than 10 countries such as the USA, France, Germany, the UK and Russia etc. We regularly send out informative articles about current affairs in Israel containing facts not usually seen in the local or international media. Many of our subscribers have their own mailing lists, which they use to forward BIG articles, therefore we can estimate that we are reaching tens of thousands of readers worldwide. BIG also works with the main pro-Israel Christian organisations offering talks, hospitality in Jewish homes and information to visiting groups. Norman, born and brought up in Coventry. Served for 5 years in the British army, landing in France on D-Day. 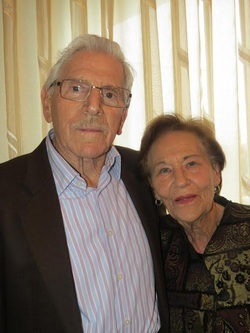 Until coming to live in Jerusalem in 1985 was running the family business while being very involved, together with Lola, in fund-raising for both Jewish and non-Jewish causes. Their other chief interest, keeping Judaism alive in Warwickshire, arranging services where there was no synagogues and running religion classes for the children of the scattered community.He became Chairman of BIG in 2003, a few years later, co-opted Lola to serve with him. Lola, born in Birmingham, trained as a teacher of Speech & Drama which she taught for many years while also practicing as a marriage and relationship counsellor with the Marriage Guidance Council. Was for over 25 years an official speaker for the Board of Deputies of British Jews, involved in the campaign for Soviet Jewry, and together with Norman, was involved with many inter-racial and joint faith enterprises in the Warwickshire area. Now they are jointly involved with working with individual Christians and Christian organisations based in Israel, the U.K. and U.S.A. Giving talks to visiting groups and arranging for them to enjoy hospitality in Jewish homes in Jerusalem. Andrew was born in Manchester and came to Israel in 2008. In the U.K. he ran various industrial and technology companies. His core voluntary activities were supporting the Soviet Jewry Campaign and promoting Zionism. He was a founder and member for 20 years of Conscience, the interdenominational committee for Soviet Jewry, chairman of the National Council for Soviet Jewry in the U.K. He also sat on the executive committee of the Board of Deputies of British Jews and the World Soviet Jewry Presidium. He chaired the British Zionist Federation for 4 years after serving as Vice Chairman and in other executive capacities, was head of the steering committee of European Zionist Federations and is now co-chair of Europeans for Israel. Stuart was born in Hull, Yorkshire, U.K. 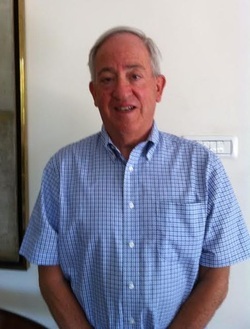 Came to Israel in 1981 and following a career in International Marketing, he is now the Director of ICAN (International Citizens Action Network) an organization which is actively involved in advocating Israel’s position in the conflict with the Palestinians. He is also Chairman of CoHaV (the coalition of hasbara volunteers) www.cohav.org the umbrella organization of over 100 various advocacy groups around the world. 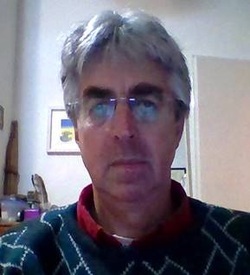 Stuart was responsible for initiating the Young Ambassadors program which trains young people in public diplomacy in a number of schools, is a Senior fellow at the Centre for International Communications at Bar Ilan University, as well as a member of the advisory committee for the Haifa University program "Ambassadors Online". He is the author of a book entitled, 'A War or not a War,' based on his family's experiences in Second Lebanon War. Much of his time is spent lecturing on the subject of promoting Israel, both to Israelis and groups of tourists, army volunteers, solidarity missions and others. Hasja was born in Amsterdam, Holland, and is a Holocaust survivor. 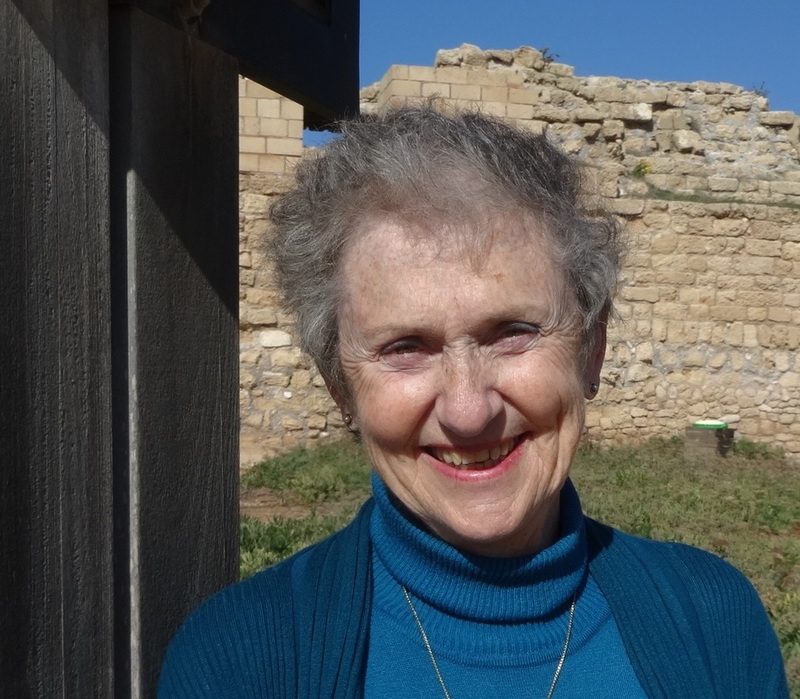 She came to Israel in 1981 and following a career in teaching English as an extracurricular activity, she now supports her husband in advocacy activities. She acts as secretary for BIG (British Israel Group) maintaining the mailing lists and issuing the articles of the week.In her spare time she is involved in the local Shelter for Battered Women and a School for children with learning disabilities. Ian was born in London where he was a member of the Zionist youth movement, Habonim. He came to Israel in 1978 and served in the Israeli army in the Armored Corps. He worked in software and communications, then as a serial entrepreneur in the Life sciences field. He is a veteran of the Israeli startup scene and founder of a company mentioned in the book, Start –Up Nation.